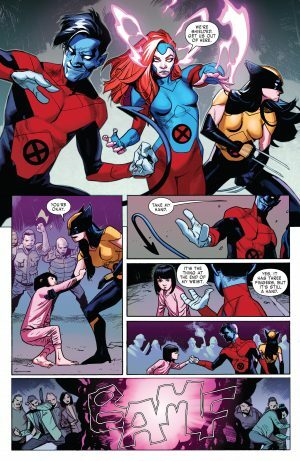 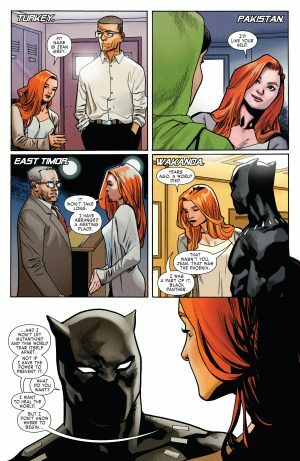 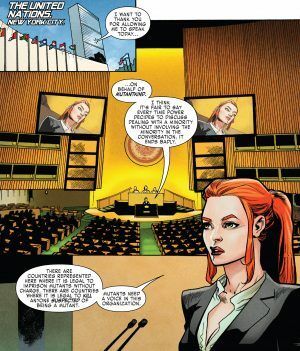 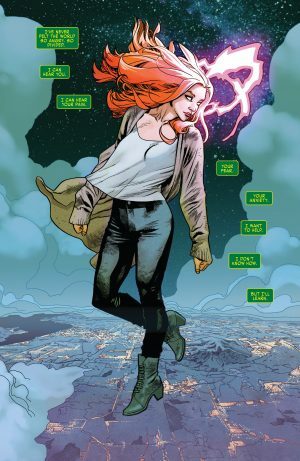 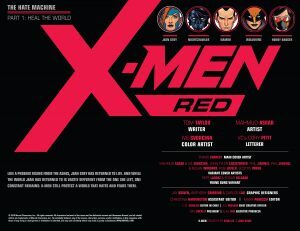 Marvel Comics Legacy and X-Men Red #1 Spoilers follow. The Phoenix Buried As Jean Grey Resurrected, Racism Tackled Head On, Black Panther Sighting, as a Classic Villain Returns? We open with thee creative team credits, team mission statement and mini dramatis personae. 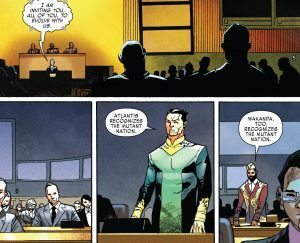 …Searebro a play on Cerebro the X-Men’s super-computer. 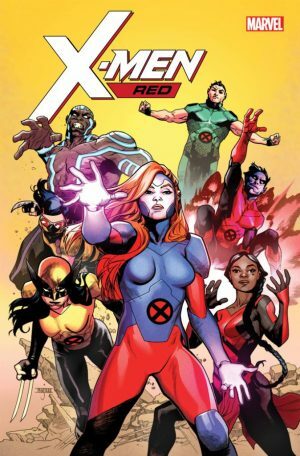 We then learn how the X-Men Red formed. 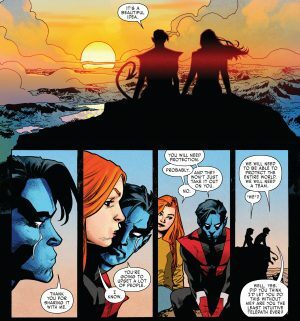 …come up with a grand new idea to reduce the hate. It’s an idea that Nightcrawler loves, but knows will put Jean Grey in danger. 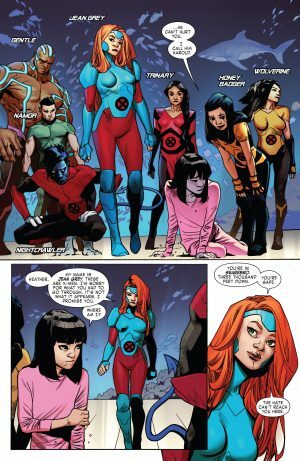 She needs protection by a new X-Men team. …that mutantkind be recognized as a nation without borders. 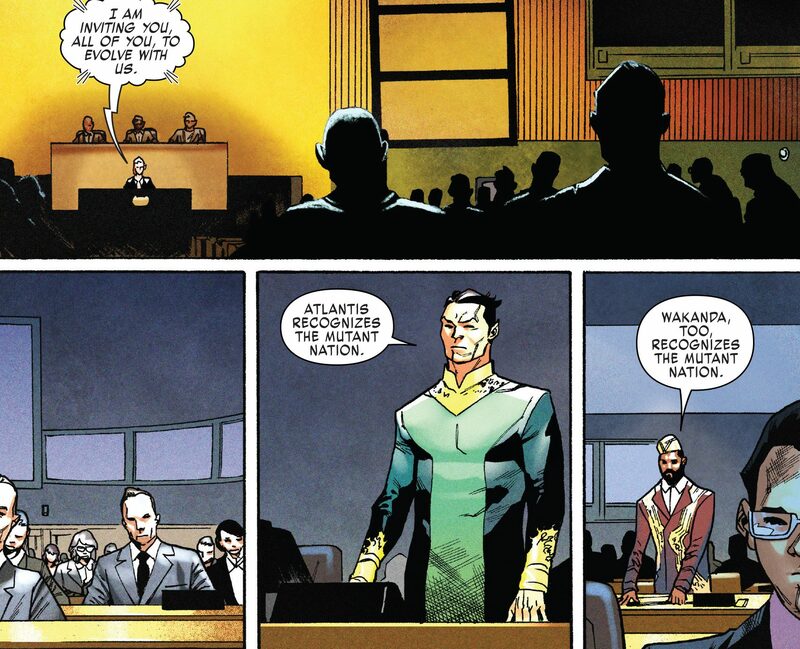 The idea is supported by Prince Namor of Atlantis and the ambassador from Black Panther’s home country of Wakanda. 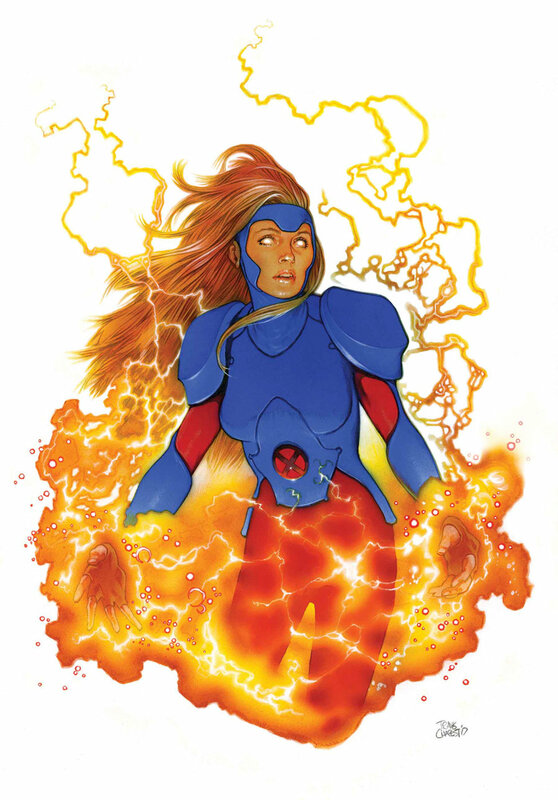 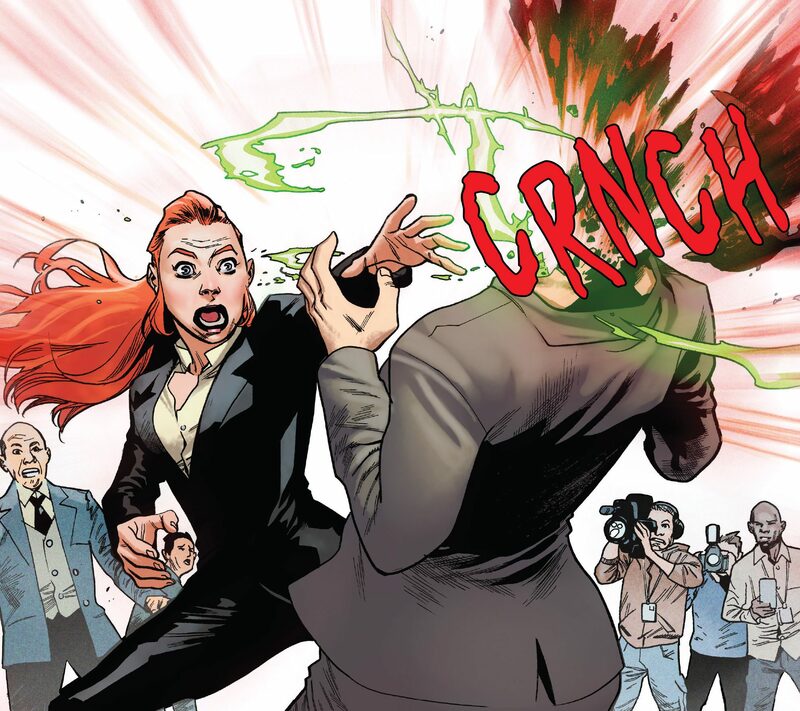 …whose head explodes making it look like Jean Grey did it! Jean Grey wanted for murder! 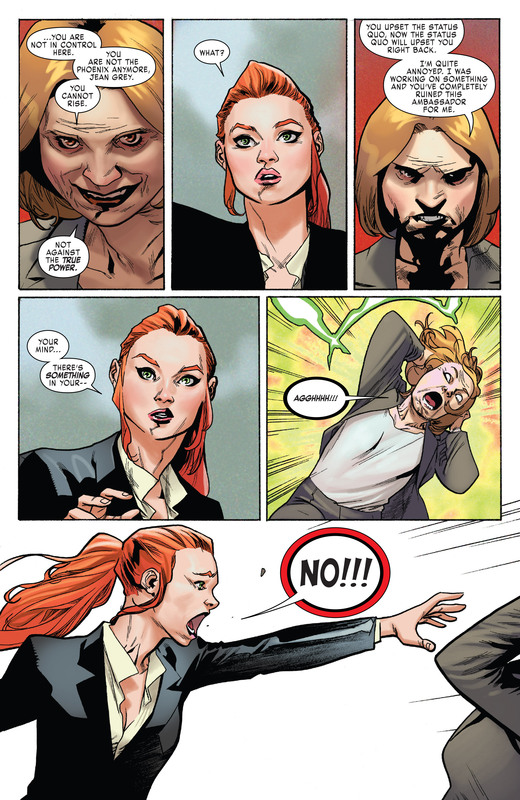 The X-Men Red are fugitives as the classic villain Cassandra Nova returns. 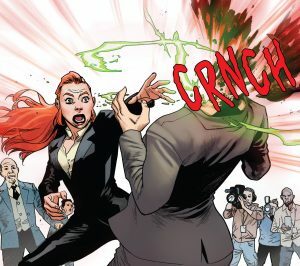 Was the world’s hate her doing? More to come. 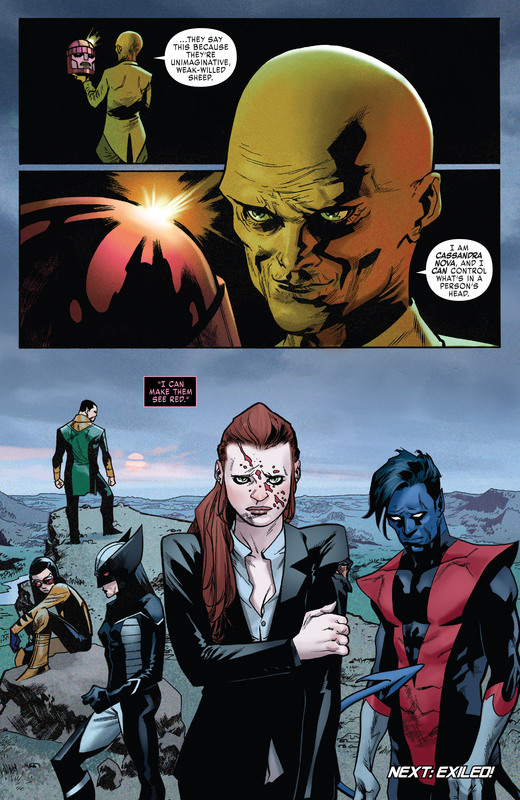 Who is Cassandra Nova? 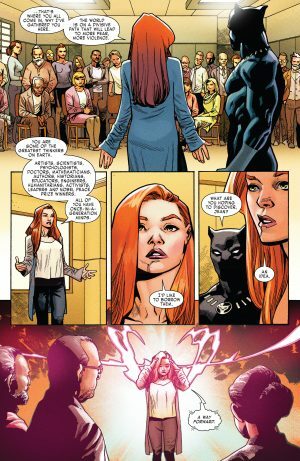 Well Marvel has the answers because I had a vague recollection of her and was curious why she used to be called Cassandra Xavier. More here.